Fine Country Living on this Cattle and Horse Farm! Over 100 acres with two houses. 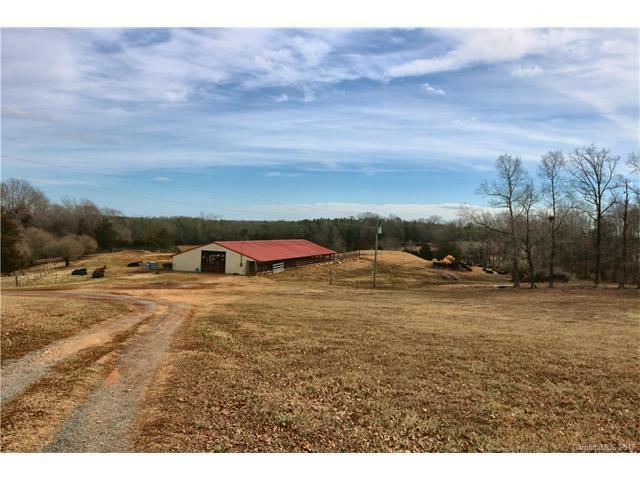 6 stall Horse barn with two run-in sheds located on each side w/Hay and Feed storage. Cattle and Hay Barns along with Seven pastures all fenced with exception to a small area along creek bed. Cattle barn has newer roof and approx. 120'x40', and catch pen will hold approx. 40 head. Hay Barn is approx. 75'x50' with equipment storage in the rear approx. 85'x36'. Great opportunity to own a farm that's been in the family for decades! There are 2 houses currently lived in on the property. Both are 2 bedroom and 1 bath. The older brick ranch has a newer Trane Heat Pump and has had some updates. Great Building/Workshop on the property with 2 Roll Doors along with separate electric meter. Both homes have their own well and septic and both have water softners installed. The cottage on the hill is warm and cozy with a large woodstove keeping those toes nice and toasty! Only 12 miles from the hospital in Monroe. Sold by United Real Estate-Queen City. Offered by The Macy Group. Copyright 2019 Carolina Multiple Listing Services. All rights reserved.